This Campaign Page is for the Iron Gods: Lords of Rust campaign. Leave Comments here to talk about what character you want to be, and anything else you want to say to your fellow players! Set in the harsh lands of Numeria, a realm where savagery and super-science exist side by side, the Iron Gods Adventure Path incorporates a number of science fiction themes alongside its more traditional fantasy offerings. 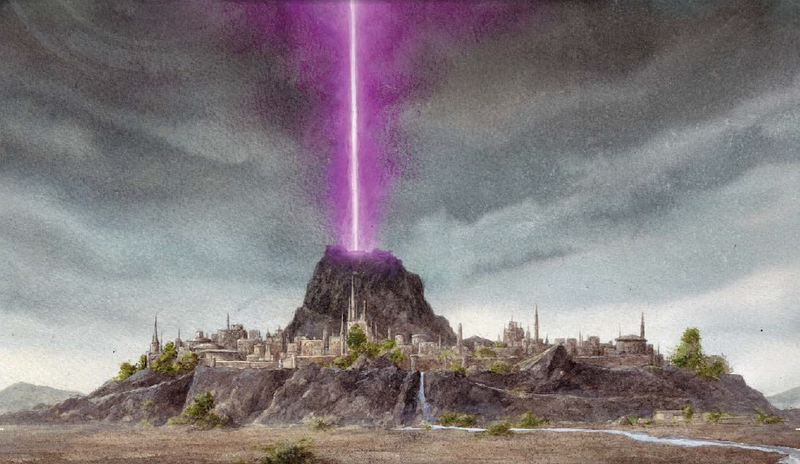 So while there’ll still be dragons, orcs, magic swords, and potent spells, PCs in this campaign will also face robots, cyborgs, and aliens armed with technological weapons and gear—monsters, hazards, and wondrous prizes brought to Numeria thousands of years ago during a singular event known today as the Rain of Stars. The campaign begins in the Numerian town of Torch, and assumes you’re either a native or recent arrival to the town. The campaign traits in the Player’s Guide give you reasons to be in Torch and to have joined with the other PCs. See the Iron Gods Player’s Guide for tips for making characters suited for this campaign and for special campaign traits. RACES: Any common, featured, or uncommon race in the Advanced Race Guide. They are listed at this page. I will only allow ONE person to be an android — if more than one person wants to, we will roll randomly at Eudemonia! IF YOU COME FROM THE TOWN OF TORCH, you must be one of the seven core races or an android. CLASSES: The 31 classes on this page are available. 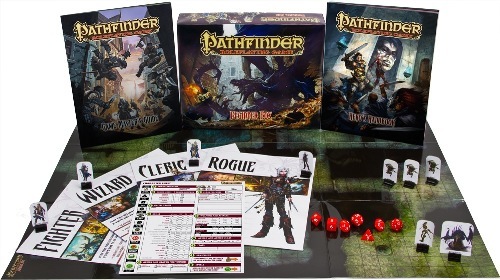 Only the Pathfinder Unchained version of the summoner is allowed. The prestige classes from Core Rulebook and Advanced Player’s Guide are allowed. Also, the 6 Occult Adventures playtest classes (kineticist, medium, mesmerist, occultist, psychic, and spiritualist) are available. Also, the 10 psionics classes and 19 prestige classes from Psionics Unleashed are allowed — ask me to look at the book, but the core psionics classes are aegis, cryptic, dread, marksman, psion, psychic warrior, soulknife, tactician, vitalist, and wilder. TRAITS: These are new to most of you — in Pathfinder, you can have 2 traits that are each like half a feat, but they come from your character’s story background. I will talk more about them when we meet up at Eudemonia. In the meantime, you should pick one of the Campaign Traits on pages 7-9 of the Iron Gods Player’s Guide! EQUIPMENT: Give yourself up to 6,000gp worth of equipment and spending money. You may not begin with any technological gear – you will have to find them in Numeria! The Technic League holds a tight grip on technological items. Say what race and class you want to be below!